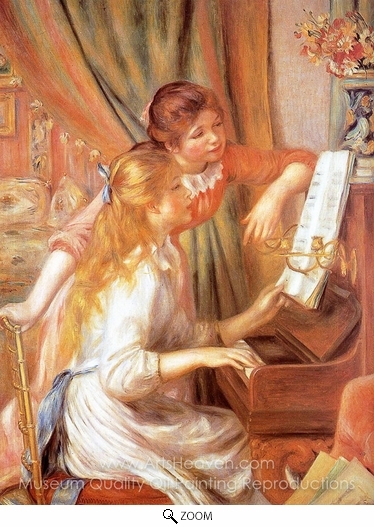 Pierre-Auguste Renoir's Girls at the Piano, painted around 1892, is a significant turning-point in the history of Impressionism and a seminal moment in late-nineteenth century art, signalling the established style's shift from the respected periphery to the canonization of the state's art institution. This canvas also marked the turning point in Renoir's oeurvre by ensuring the endurance of his legacy was supported by the French nation. 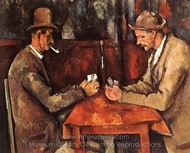 In the first few years of the early 1890s members of Renoir's inner circle began to resent the fact that the ageing painter had been neglected by the relevant national bodies. While rushing to secure the works of his less accomplished contemporaries, the state did not yet own a single canvas of Renoir's. After a short maelstrom of petitioning the poet Stephane Mallarme achieved his first success in a crusade to bring Impressionism into the museums. 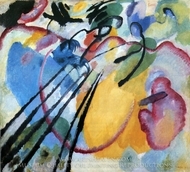 Loosely commissioned by the Mus�e du Luxembourg, this towering achievement of balance and formal ingenuity exists in a number of versions, the finest of which are housed at the Mus�e d'Orsay in Paris, the Metropolitan Museum of Art in New York, and the Mus�e de l'Orangerie in Paris respectively. Understanding immediately the scrutiny under which his work would be placed once it entered the canonical sphere of the national museum, the artist strove to achieve formal perfection through Girls at the Piano, and made countless preparatory sketches and exercises before approaching the canvas. It is a scene of sisterhood and sibling harmony, as two girls unite over their love of music. Without hearing the elegant tinkling of the keys, Renoir allows his viewer to conjure the sounds through his transcription of the sweet melody through color. Both girls are totally absorbed by their passion for the craft, as the face of the player expresses joy, the other the epiphanic realisation of a dream. Despite the lightness of the subject, and the deftness of the brushwork, Renoir's canvas is the product of a remarkable effort of study and balance. Pierre-Auguste Renoir painted six versions of the subject, with the version commissioned by the State in 1892 featuring prominently in the collection of the Mus�e d'Orsay. When compared to the other five, this version appears almost translucent, defining a vision of bourgeois life that is frozen in a fleeting instant of leisure, pleasure, and education. Yet for Renoir the trappings of a comfortable life are shunned in favour of the resolute attention that the young girls pay to their love of music. 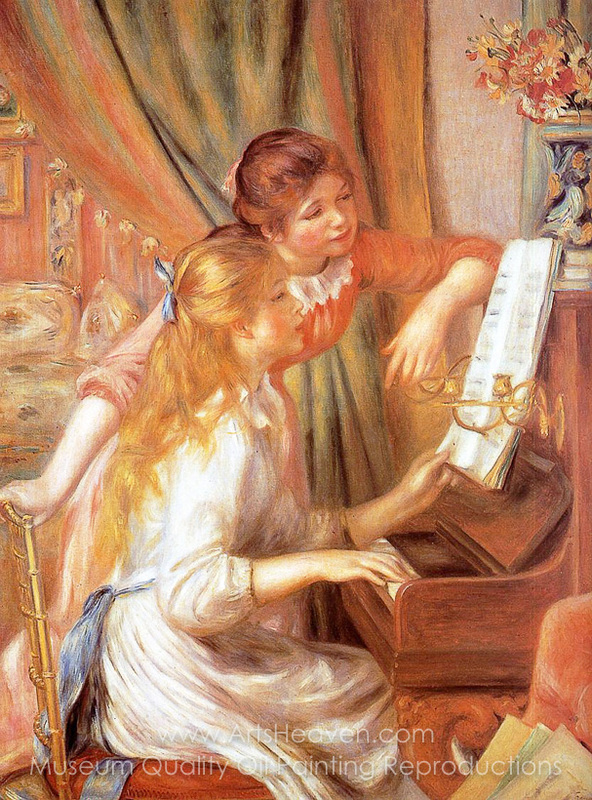 Decorate your home or office with our beautiful museum quality art reproduction of Pierre-Auguste Renoir Girls at the Piano (Jeunes Filles au Piano) painting. Why settle for a print, poster, giclee or canvas transfer when you can grace your walls with a genuine oil on canvas painting reproductions for sale at up to 75% below gallery prices. You are commissioning an authentic hand-painted oil painting on quality artists canvas. Painted by professional artists brushstroke-by-brushstroke with attention to all details. Order your Masterpiece today and get Free Shipping to your door direct from our studio.